Download additional assets for use with Pixel Game Maker MV! A selection of assets from the upcoming shooting game project, "RTB ~Return To Base~". This sample game will show Pixel Game Maker MV fans how to make a project that switches between top- and side-scrolling stages. Create games of all sorts of genres on your own! ■The game can be loaded by double-clicking the "player.exe" file contained in the zipped folder. ■Please see the "ReadMe.txt" file contained in the zipped folder for information on controls, etc. ■If you receive an error message for missing DLLs, you will need to reinstall VC2010, VC2012, and VC2015. For Windows 7/8, please run Windows Update before reinstalling each VC. Please be sure to read these terms before downloading the game. The users is assumed to have agreed to these terms as of the point at which the game has been downloaded. 1. Extraction and redistribution of any of our programs and/or assets from this game is strictly prohibited (regardless of whether said redistribution is for profit or not). 2. Extraction and modification of any of our programs and/or assets from this game is strictly prohibited. 3. Extraction and and use of any of our programs and/or assets from this game in a user's own original game is strictly prohibited (regardless of whether said use is for profit or not). ■Super simple controls using just the accelerator and brakes! ■Beat all stages to see your total clear time! Challenge your friends to see who’s the fastest! ■An excellent example of what the Pixel Game Maker MV physics engine can do! ■Take down enemies using knives, swords, hammers, and all sorts of useful attacks! ■Explore the vast stages and open up all of the maps! ■Featuring beautiful animations and effects using the Pixel Game Maker MV particle function! ■A neo-Japanese-style action game featuring cute, round faces ("Jinmen") and fairies. ■Collect pumpkins to clear each stage. Take back the Jinmens' dumpling factory! ■Eight stages in total. This game is harder than it looks - one mistake and it's back to square one! 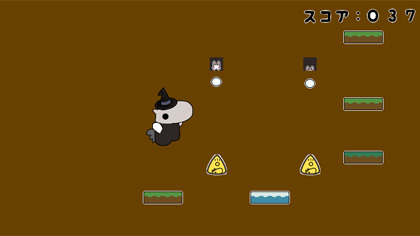 ■Control an anteater and head for the top of the anthill (goal) in this cool little action game! 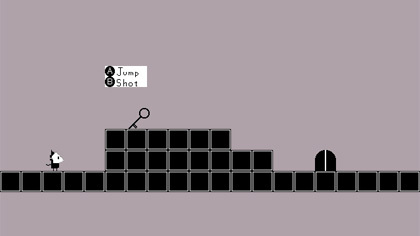 ■Controls are super simple: just move and jump! ■Fall down or hit an obstacle and it's Game Over! Easily playable over and over! ■Grab the keys in each stage to open the doors in this puzzle-action game! 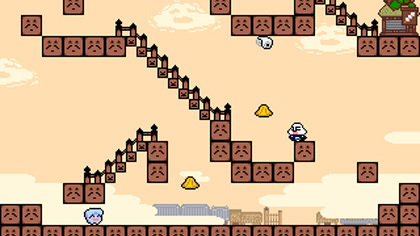 ■Generate blocks - which disappear after five seconds - to progress through each stage! ■See if you can clear all 50 stages! © 2018 Valve Corporation. All rights reserved. Steam, the Steam logo, are trademarks and/or registered trademarks of Valve Corporation.